I tend to overstock and often my pantry and freezer become completely full. This is especially true after the Holiday season. This January, I decided not to buy any groceries until I cook off all the products accumulated over the last several months. Of course I make an exception for fruit and veggies. Last night we had friends over. 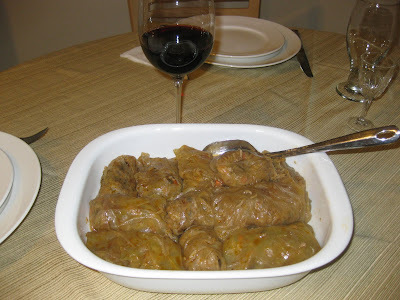 Our main course was stuffed pickled cabbage leaves with ground pork and rice. For appetizer, I prepared tuna salad. 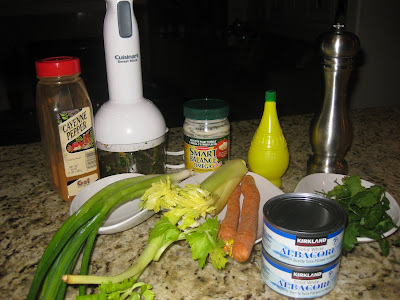 These are the products I had, albacore tuna, green onions, instead of red onion, celery, carrots and cilantro. Normally, I'd use dill instead of cilantro. No lemons, used lemon juice instead :). 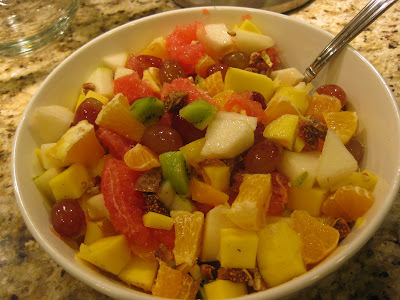 For desert I've cut some fruits to make a bowl of fruit salad. 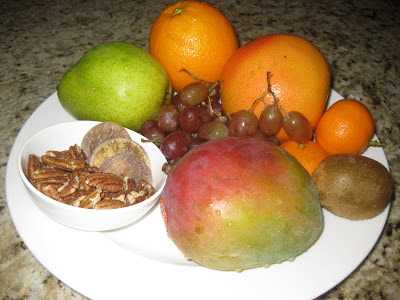 I like dry fruits and nuts in my salad, figs and pecans in this case. They add crunch and texture. 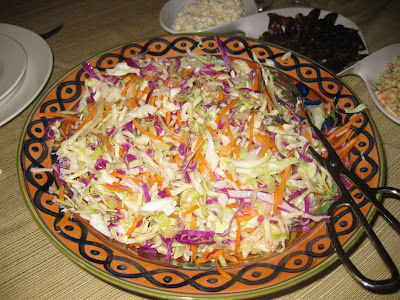 Is the appetizer plate in the back new (spiralovidnata)? Lokuma, do you use some kind of meyo for the tuna salad or just the lemon juice is enough? Looks really good. Does the cuisinart thing chop well all of the veggies. If yes, I might consider getting one of those. I have a food processor, but that one takes awhile to assemble and it seems harder to clean than your tool. What do you think? All looked really delicious! I am thinking of following your idea about cleaning out the pantry. I have too many canes and jars with stuff that are just cluttering my already small storage space. Yes, I use mayo, look at the Smart Balance jar at the photo. I had few spoons of mayonnaise left in the jar that I utilized. I like the stick chopper, easy to use and clean. I am not crazy about the Cuisinart model I have right now. The chopper does not always do a good job, sometimes it leaves some unprocessed things on top. I'll check out what stick America's Test Kitchen recommends and let you know. They are usually right on the money. 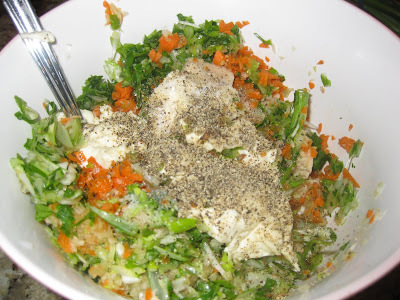 Tedydim, I have used the same food processor that you (and I) have to make the abovementioned tuna salad multiple times, and it is really really easy and quick to assemble and clean. Just rinse with warm water and all the stuff comes right off. Vasco hates chopping but thanks to the food processor now he is regularly helping out! Vasco needs a nickname... Vushko?